In this step-by-step tutorial, you will find out how to setup product reviews plugin on Squarespace. Important:Occasionally, AJAX may conflict with some embedded custom code, third-party customizations, and anchor links, that's why we do recommend you to disable AJAX before starting to integrate Wiremo plugin. More details in the Squarespace article about AJAX loading issues. For an easier way to integrate Wiremo widget on your Squarespace website, you can watch the following video tutorial or follow the steps below it. There are 3 main steps to start using Wiremo plugin for Squarespace. 1. Login to Wiremo Dashboard and select “Install Wiremo” in the main menu. Type your website address and click the "Next" button. 2. Now from the list of platforms press on "Squarespace" (pin 1). 3. Now you have to follow 4 important steps from the Squarespace install instructions in Wiremo Dashboard. Follow them one by one. Important:All the steps that are described in Wiremo Dashboard install instructions are mandatory! Once you'll validate your website you can turn back to this tutorial and check how to configure your Squarespace plugin! To start configuring your Squarespace plugin please follow the link - Wiremo Squarespace Plugin Dashboard. There are 3 main settings tabs for Wiremo plugin. 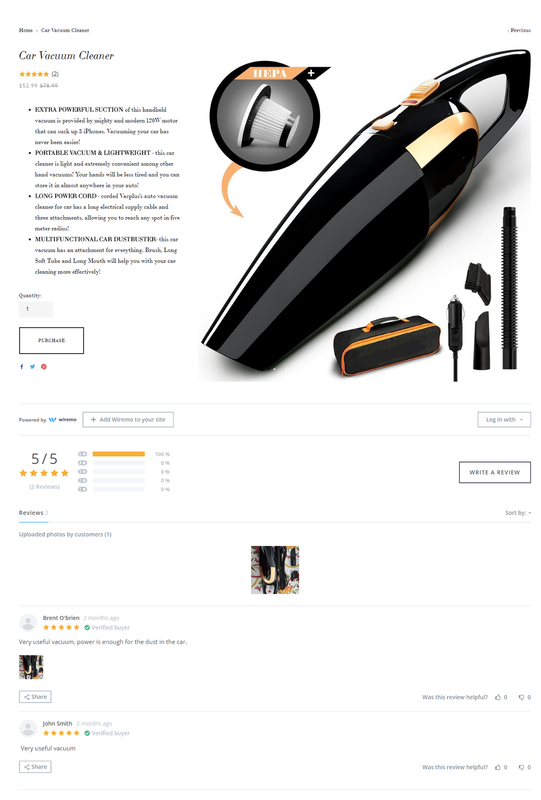 Hide stars when no reviews - hide rating stars for the products with no reviews. Show stars on home page - this will enable/disable rating stars for your products on the home page. Show stars on collection page - same as for home page you can show rating stars for your products on the collection page. Show stars on product page - this will enable/disable rating stars in your product page. Widget position relative to "Additional info"- you can change the position of the widget. You can place it below or above the "Additional info" of the product. Also, it is possible to add a title for the widget and configure it. Please note that this feature is available only for our Professional plan users. Title - You can type the title you want in the title input box. To remove the title just leave the input box blank. Color - select a specific color for the title. Size - you can select the big, medium or the small size for the title. We will use your site H1, H2 and H3 for the title size. Align - also an important feature is the align for the title: Center, left or right. 1. To use Automated Review Request you should have a "Commerce - Advanced" Squarespace plan. 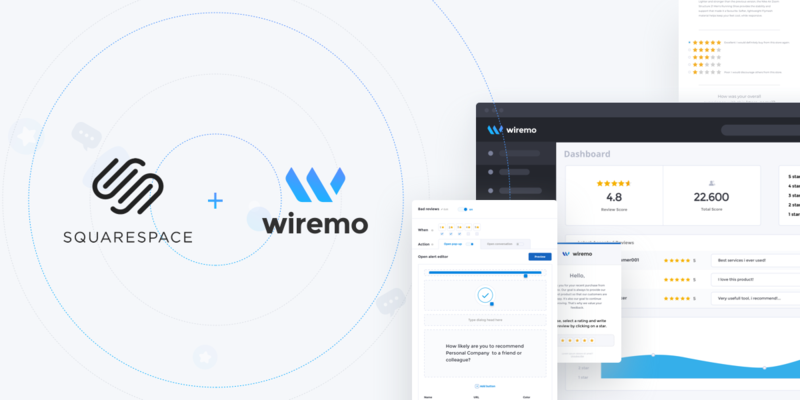 With Wiremo you can fully automate the process for review requests after purchase. The review request action will take place only for orders with status fulfilled. To setup Automated Review Request please follow this detailed tutorial: How to setup Automated Review Request in Squarespace plugin. Important:1. To use Past Orders Review Request you should have a "Commerce - Advanced" Squarespace plan. We know that many of you had a lot of past orders before start using Wiremo. That's why we've created the possibility to ask your past orders for review. 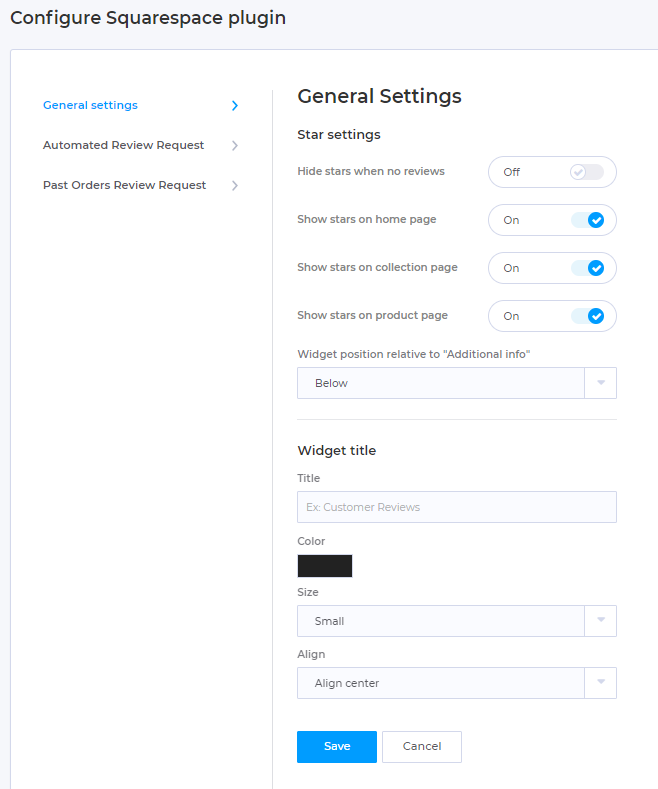 To setup Past Orders Review Request please follow this detailed tutorial: How to setup Past Orders Review Request in Squarespace plugin. Your product page now should look like this one.